What does climate change mean for Pacific sardines and anchovies? from Chavez et al. 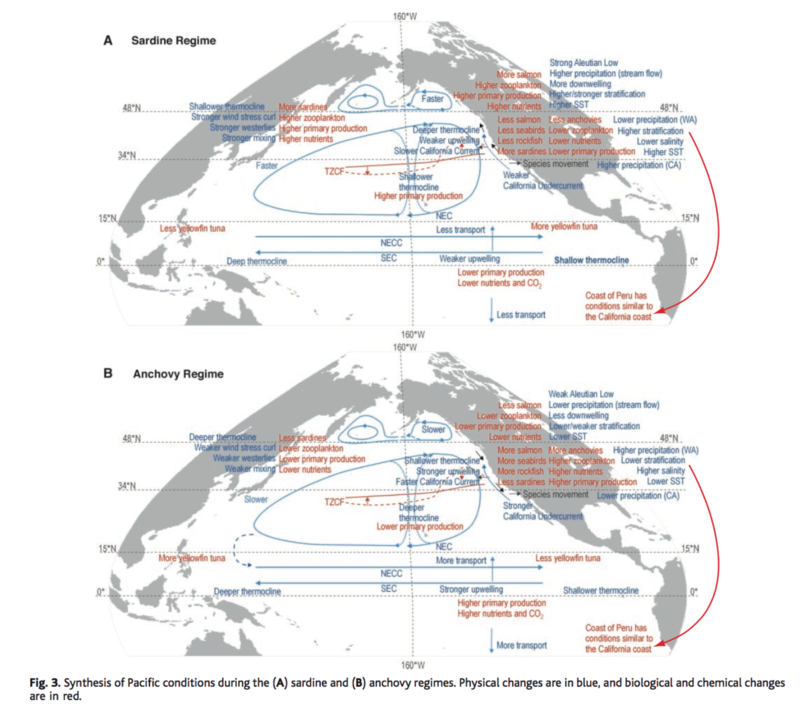 (2003) Science: Changes in the abundance of anchovy and sardine are only a few of many biological perturbations associated with regime shifts in the Pacific. 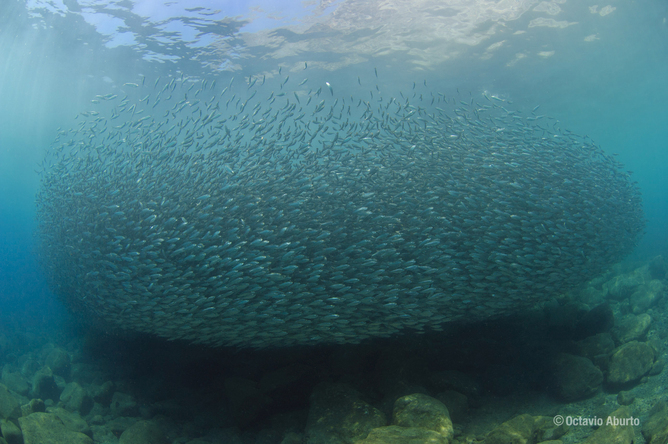 Sardines (Sardinops sagax) school in the Gulf of California. Many populations of marine species rely heavily on such schools as a source of food. This article was originally published on The Conversation. Read the original article.. Publication does not imply endorsement of views by the World Economic Forum. 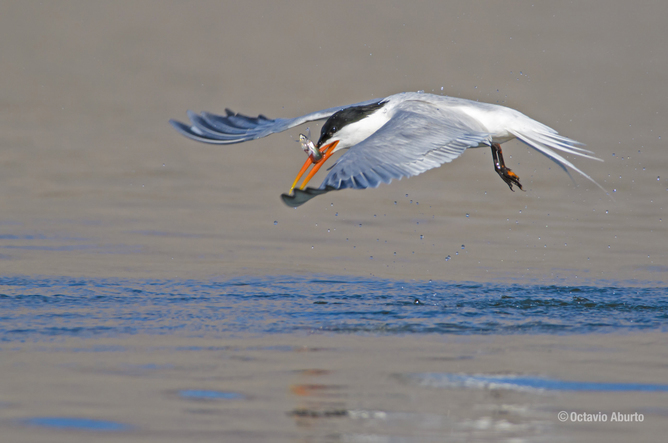 Author: Andrew Frederick Johnson is Postdoctoral Researcher of Marine Biology at Scripps Insitution of Oceanography at University of California, San Diego. Image: A visitor looks at an installation at Hong Kong Ocean Park. REUTERS/Bobby Yip.